We’re really proud to announce Michelle Clarke, Managing Director of M.C. 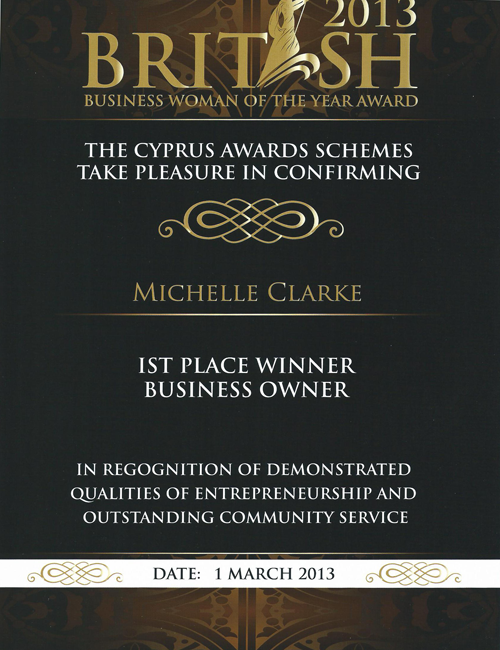 Care At Home has been awarded the annual British Businesswoman of the Year Awards in Cyprus, 2013. The award is for British female entrepreneurs who have significantly contributed to the professional and arts communities in Cyprus, generating awareness for the environment, embarking on training and self-development courses and enhancing good community relations. Michelle is delighted with the award but says it’s really the hard work of the whole team at M.C. Care At Home, not just her. The award was announced and presented during a fabulous ceremony at Elea Golf Estate in Paphos on Friday, 1 March 2013. Judges for the British Business Woman of the Year 2013 award were Savvas Savvides and Yiannis Fanides of Michael Kyprianou & Co LLC and Maureen Watt, Angel Guardians Funeral Home. 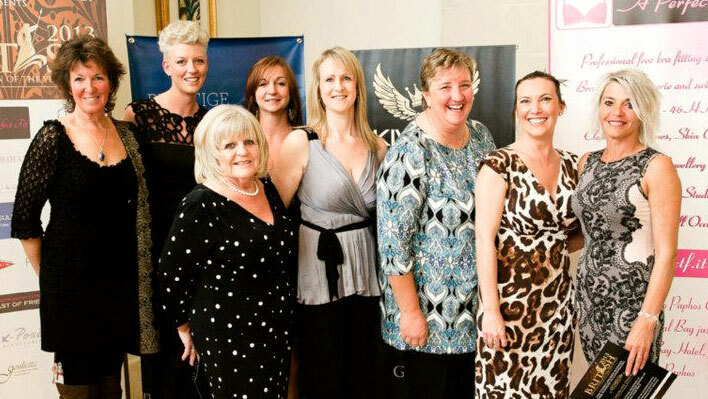 You can see more pictures from event at the Business Woman of the Year Awards Facebook page.